Discussion in 'In the News' started by xcel, Sep 6, 2017. 150 miles range from a 40 kWh pack plus a lot more. 2018 Nissan LEAF- 150 mile of single charge range. Pricing TBA. The all-new Nissan LEAF sets a new standard in the growing market for mainstream electric vehicles by offering customers greater range, advanced technologies and a dynamic new design. The new, second generation Nissan LEAF is the first answer to a long line of future Nissan Intelligent Mobility offerings. The three key aspects of Nissan Intelligent Mobility include Intelligent Driving, Intelligent Power, and Intelligent Integration. The all-new LEAF’s Nissan Intelligent Driving technologies include the brands ProPILOT Assist, e-Pedal and the company’s Nissan Safety Shield. ProPILOT Assist is a single-lane driving assistance technology. Once activated, it can automatically control the distance to the vehicle in front, using a speed preset by the driver (between about 18 mph and 62 mph). Standard radar CC for everyone else but lacking full stop and start without driver input prior to the 3-second time to manual of most high-end systems on the road today. It can also help the driver steer and keep the vehicle centered in its lane. Lane Keep Assist for the rest of us. Another innovation that enhances the LEAF’s driving experience is the e-Pedal, which is offered as standard equipment on all grade levels. It allows the driver the simplicity of accelerating, decelerating and stopping the car by using the accelerator pedal alone — a revolutionary innovation that can change the way people drive. Not a fan of this feature. While the conventional brake pedal must still be used in aggressive braking situations, the e-Pedal lets drivers use a single pedal for more than 90 percent of their driving needs. The new LEAFs e-powertrain offers improved energy efficiency and increased torque and power output. The new e-powertrain delivers linear acceleration with a 147 hp on tap, 38 percent more than the previous-generation LEAF. Torque has been increased 26 percent to 236 lb-ft, resulting in improved acceleration. With the additional power comes improved range. The car’s new Li-Ion pack delivers an estimated 150 miles of range. For those who want more excitement and performance, Nissan will also offer a new higher power, longer range version at a higher price for the 2019 model year. Early estimates of 230+ mile range from a 60 kWh pack. The new LEAF links drivers, vehicles and communities through the user-friendly NissanConnect feature and systems that share power between electric vehicles and homes, buildings and power grids. To match the improved output of the electric motor and inverter, Nissan engineers enhanced the car’s chassis for better stability. Heavy components, including the battery, are placed in the center of the body, helping achieve smaller yaw moments of inertia compared with front-engine vehicles and thereby improving directional stability, enabling smoother cornering. The new LEAF’s electric power steering system (EPA) has a more linear feel that enhances confidence, especially on highways, with enhanced feedback from the road surface. This is thanks to a software upgrade, new control logic working in conjunction with the steering angle sensor, and a 10 percent increase in steering torsion bar stiffness. Additionally, the urethane bump stop for the rear suspension has been replaced by a rubber stop to reduce impact jolts when driving on uneven roads. The new LEAF’s design is inspired by the IDS Concept car, first shown at the 2015 Tokyo Motor Show. Unfortunately, it does not grab pone’s eyes as the IDS did. The philosophy behind the exterior design was clean and simple lines with a sleek silhouette. The horizontal character line, the bumper, and the highlights in the lower part of the body emphasize the lower center of gravity, giving the beholder an instinctive feeling that it’s agile and fun to drive. The signature V-Motion grille, the boomerang light signature and the floating roof are all part of Nissan’s other model offerings DNA. A clear-blue 3D mesh pattern with a "freezing" motif, on a flush surface inside the V-Motion grille and projector-beam headlights with dual, direct-lens low and high beams are a first for Nissan. Forward illumination coverage is said to be vastly improved. The underfloor and a diffuser-type rear bumper combine to achieve reduced drag and zero lift, resulting in improved vehicle stability. Thanks to the aerodynamic body styling, including a rear bumper with a clear-cut curve and aero-design wheels, the new Nissan LEAF has a 0.28 coefficient of drag. <-- Shaking my head on this one. The new LEAF’s cabin features a “Gliding Wing” design language. The redesigned driver information display has a simple, light configuration without excessive decoration. It focuses on visibility, creating a tasteful, understated look and feel with both excellent spaciousness and functionality. Signature blue stitching, an emblem of Nissan EVs, in the seats, door trim, armrest and steering wheel. The blue, illuminated vehicle start/stop button and shift knob finisher create a high-tech look. The center console and switchgear provides just enough information when and where a driver needs it. This helps them focus on what really matters the most – an enjoyable drive. When the car is activated, a start-up movie is displayed. Monitors and switches have also been redesigned. Most notable is the combination of an analog speedometer and a multi-information display. On the left side, the 7-inch, full-color, thin-film transistor (TFT) display shows a power gauge meter by default. The driver can smoothly change the information that is displayed. Apple CarPlay and Android Auto have been added to the infotainment system in cars equipped with the navigation system. Finally! Too bad it is not included in the non-NAV models where it should be standard. The audio and navigation functions can be modified with a steering switch, without taking hands off the steering wheel. Overall interior quality has been reworked. A matte chrome finish with a high-quality feel has been applied to the rim of the steering wheel, wrapped in genuine leather, and the center display, making for consistent brightness and quality of each metal finisher. Matte and glossy shades of black have been carefully applied in the air conditioner control panel and the vent grille, creating an advanced, precise interface and a comfortable cabin – like a high-quality living room with relaxing softness and warmth combined at their best. Please, please, please do not tell us the mouse fur on egg carton head liner has been retained??? NissanConnect, allows the driver to search for continuously updated information such as the location and operating hours of free charging stations and charging station availability. Owners can also access their smartphone to check the car’s battery status. The comfort and quietness of the new Nissan LEAF even at highway speeds is said to be very quiet. Along with producing less drag, aerodynamic upgrades and exterior refinements have led to a reduction in wind noise. While the energy capacity of the lithium-ion battery pack has been significantly increased, the cabin’s interior dimensions remain essentially unchanged and comfortably accommodate five people. What’s more, the rear cargo area has been redesigned to provide increased luggage space, offering 23.6 cubic feet of available volume with the rear seats up. The square space, with bumps removed as much as possible, allows greater space utilization, increasing convenience and usability. The rear cargo space can now accommodate two large suitcases or three medium-sized, airline carry-on suitcases. It also allows for easier charging cable storage. The new LEAF is available in eight body colors. The new LEAF is also available in a two-tone White/Black. Moving to the interior, an all-black interior gives an air of cool sophistication, discreetly enhanced by lighter accents on the seats, as well as the blue stitching on the steering wheel, seats and central armrest. The alternative option is a pale shade of gray, which colors the seats, door trims, central portion of the dashboard and central armrest. These surfaces are contrasted with the dark gray accents of the central console, binnacle, lower and upper dashboard sections and steering wheel. The overall effect is a light and airy ambience. Stay tuned as we will be watching this one very closely for obvious reasons. I'm disappointed, too. Somewhere, I saw the 2013 Leaf already had that level of drag coefficient. Still, I have to look at the positives. The range is certainly good enough for me. 70-80 miles was good enough in the 2013 Leaf, but the wife got nervous and I ran low a couple of times though never empty. Just less opportune timing of the forced charging. These days the wife can run on EV only with the 30+ range she gets in the Prime, but we still intentionally use gas occasionally anyway. Wouldn't have to with the new Leaf. It is very good, and yet underwhelming at the same time. I am disappointed by the center console - they should have consulted with a few tall people. The first gen Leaf has a Cd of 0.32, so the 0.28 is better, but again a bit disappointing. They will sell a lot better than the current Leaf, I think. And hopefully, they hit a home run in 2019. Okay, I'll take your source over the following. I'm not being facetious. It looks a lot better than the previous Leaf models - like a normal car rather than an awkward plastic mold. This should help it sell better IMO. However it shows a lack of creativity that they use the same black paint sections on the hatch as a Chevy Bolt. That being said, I agree with the "Whaaaaa?" reaction to the Cd. The 2nd gen Prius from 2004 has a Cd of 0.26, with an ICE it needs to keep cool via unaerodynamic radiator airflow. With no engine to cool, a sub 0.25 Cd should be a walk in the park. The 4th gen Prius has Cd of 0.24 and Tesla's model 3 is expected to be even lower. Ewww, it has an analog speedometer. The styling still needs some work. Nissan needs to drop the "floating roof" style, or commit all the way. That body-colored bump going halfway up the D pillar is hideous and breaks up any clean lines the car started to have. I never quite understood the floating roof thing... it only sort of looks floating with a light body color (white is good) and maybe if the window tint were limo-dark, otherwise?... Maybe if the D pillar were an active display using cloaking technology and showing what's on the other side. I'd feel safer without a floating roof. Convertibles are out for me, too. 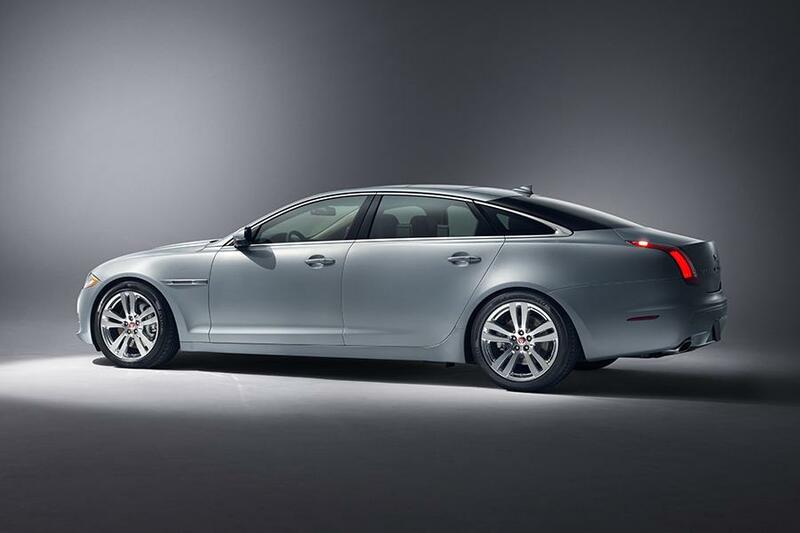 The worst one was the Jaguar XJ. They blacked out the C pillar, and nicely too - all the way from the beltline to the roof. And then stuck on chrome window trim that ruined the whole effect! I don't know... if one's not going for the floating roof thing, that chrome strip makes the profile look more complete and makes ME feel safer. Car & Driver tested the original Leaf and got 0.32. This is an assembly video of the Leaf. There's some testing stuff at the end. All I have to say is...... 61.4" height. Nuff said. This is a crossover. But what do I know ? I just think it's too tall. My spouse and I went to see the 2018 Leaf at the Cambridge Drive In event. Bottom line is the center console kills it for us. It flairs out at the top, and the edge hits me just below my kneecap. The rear seat is a bit higher (which is good for leg position) - but I now hit my head. So, it goes from a car we fit in (barely) to a car we don't fit in, unfortunately. Thanks for the report on the issues you encountered, Neil. Very odd that these kinds of issues made it through. Maybe their test subjects were short and had their knees strapped together. I am fairly tall - 6'-4" with a 36" inseam, so I need to have my knee to the side, and it then hits the console. Lot's of cars have this problem to varying degrees. Center consoles are a pain. The new Nissan LEAF was named "2018 Best of Innovation" winner at the annual "Consumer Electronics Show (CES) Unveiled" ceremony, presented by the Consumer Technology Association. The award, given before a crowd of tech industry experts in New York, marks the first international award for the all-new zero-emission Nissan LEAF. Looks nice. The improved range will be great (and necessary to compete, given the Bolt and Model 3). Meanwhile, tonight I pick up my new-to-me 2015 Leaf*. Very excited to start having a car charging in the driveway. Keep snapping up those new ones on lease, folks, so you can keep feeding the secondary market 3 years from now. Prices on used Leafs are truly fantastic right now. We paid $11k for ours. * "Leaf," not "LEAF." It's not an acronym, so far as I'm aware, so it should not be written in all caps. RedylC94, BillLin, PaleMelanesian and 1 other person like this.